Organic Chemistry videos suitable for High Schools to help students learn about Alkanes. 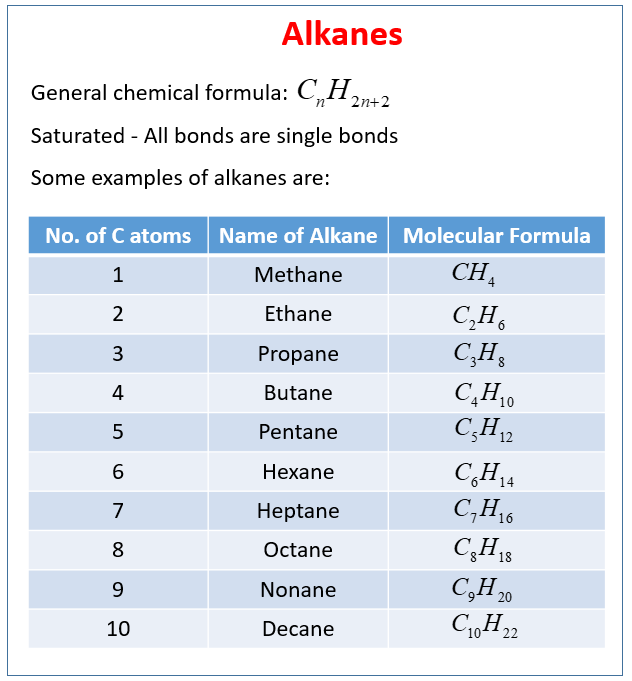 The following table gives some examples of alkanes. Scroll down the page for more examples and solutions. Reviews the various diagrams in organic chemistry. Bonding for alkanes; shows some models.